The Harpoon Brewfest 5k kicks off with packet pickup at 7:30 a.m. on Sunday, September 8th at Applecrest Farm in Hampton Falls, NH. The race begins at 9 a.m. and the party goes until noon! Click a section below for more details. 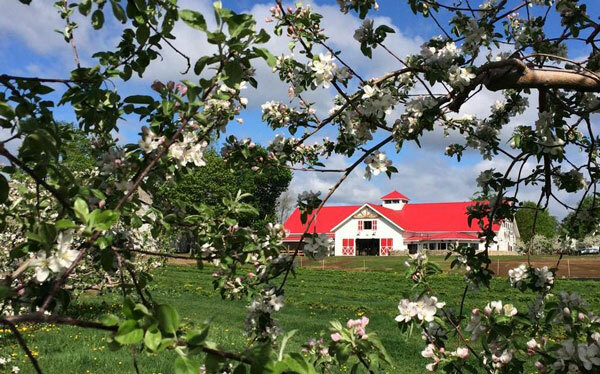 The Harpoon Brewfest 5k features a beautiful rural course that starts and finishes on historic Applecrest Farm – the oldest continually-operating apple orchard in the country! This slightly undulating course traverses both paved and dirt roads alongside pumpkin patches and apple trees for a memorable Autumn run! There will be one water stop halfway through and a ton of refreshments in the after-party (more details below)! Not only do you get a wonderful day of amazingly scenic running, but you’re also treated to the Harpoon Brewfest after-party, featuring FREE apples, fresh-baked pie, local ice cream, cold-pressed cider, and Hint flavored water. As if that weren’t awesome enough, runners 21+ get a variety of tasty craft beer from our friends at Harpoon! The best part? It’s all included with your registration! Want to bring some friends or family? No problem! They can get access to all the food and beer for just $15 online ($20 at the door)! Nearly a century ago, an “Apple Train” ran its weekly route from the heart of Boston to the rolling orchards of Applecrest Farm. People mostly drive here now, but the farm remains as New Hampshire’s oldest and largest apple orchard. Discover a bounty of grown-on-the-farm delights, including over 40 varieties of apples, peaches, berries, sweet corn, pumpkins, and an array of summer vegetables. Beneath the timbers of a 200 year-old barn, find jugs of all-natural apple cider, made-from-scratch confectioneries (including their famous hot cider donuts) and an array of other locally-produced farm goods. They also have a ton of family-friendly activities! Bring the kids and enjoy a day of hay rides, pick-your-own apples/pumpkins, and petting animals! *Hay rides and pick your own items are not included in your registration and may cost extra. Packet pick-up will be held at Applecrest Farm on the morning of the race from 7:30 a.m. to 9:00 a.m. where you’ll receive your bib and commemorative race tee! Shirts won’t be mailed out after the event if you don’t pick yours up, so don’t oversleep! 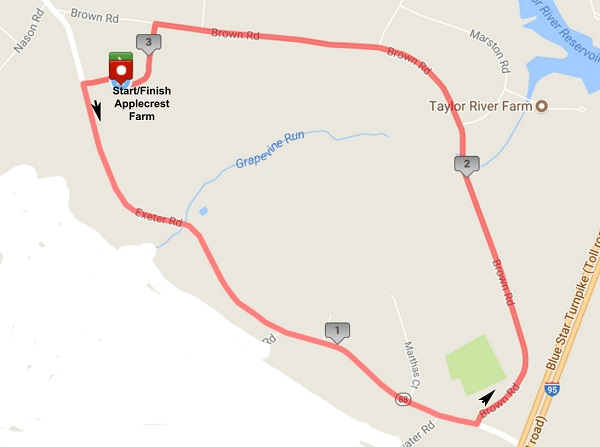 The race starts and finishes at Applecrest Farm, 133 Exeter Road, Hampton Falls, NH 03844. Please arrive by 7:30 a.m. to ensure you have time to park, check-in, and stretch before the race begins. There’s plenty of FREE parking on site at Applecrest Farm! 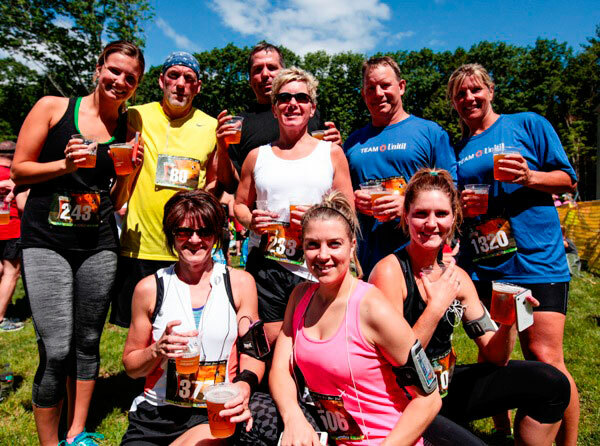 Reserve your spot today at The Harpoon Brewfest 5k!